NATO's obsession with pulling in as many small, unstable and potentially extremist countries in Eastern Europe as possible makes a world war inevitable rather than deterring one. The reason for this could not be more simple or clear: Small countries start world wars and destroy the empires and great nations that go to war to defend them. Belgium doomed England and Serbia doomed Russia in 1914. 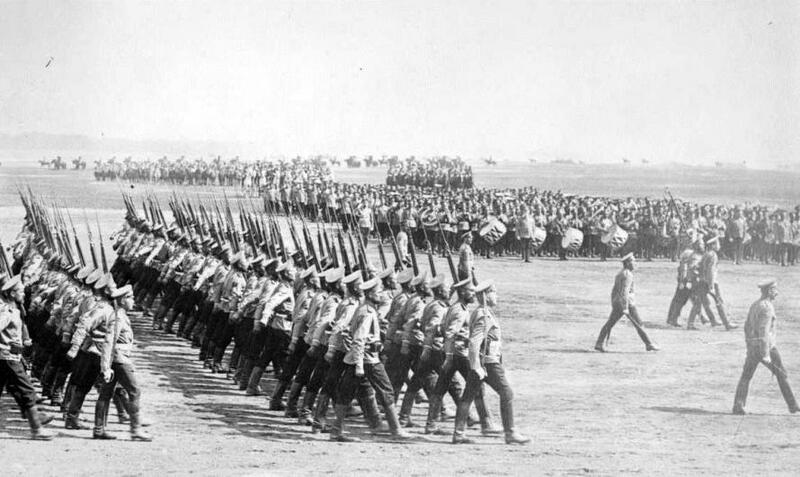 The Russian Empire, the largest nation in the world in terms of area and the third largest after the British Empire and China in terms of population at the time, went to war to defend Serbia from invasion by Austria-Hungary. This was a spectacularly unnecessary and catastrophic decision: Count Witte, the great elder statesman of the czarist aristocracy was completely against it. So was the notorious, but ultimately well-meaning mystic and self-proclaimed holy man Gregory Rasputin., He frantically cabled Czar Nikolai II to not take the fateful decision. Russia in truth owed Serbia nothing beyond a general feeling of solidarity for a fellow Slav nation. The Serbian government’s attitude towards Russia was far different. They were determined to pull Russia into a full-scale war with Austria-Hungary to destroy that empire. There is no sign that anyone in the Serbian government expressed any concern or regret then or ever afterwards for the 3.4 million Russian deaths in the war, not to mention the many millions who were killed in the Russian civil war, British, Japanese and French military interventions and the terrible typhus epidemic of 1920 that followed. Indeed, Serbia, in modern terms, was a terrorist state in 1914. Serbian Military intelligence financed, organized and armed the Black Hand terrorist group that gunned down the Archduke Franz Ferdinand, the heir to the Habsburg throne in the Austro-Hungarian Empire. Austro-Hungarian intelligence was so incompetent they were never able to prove the connection at the time. Britain’s descent into the chaos of World War I was even more unnecessary than Russia’s. Britain had no treaty commitment to go to the aid of France but it did have a treaty guaranteeing the security of tiny Belgium. However, that 1839 Treaty of London was 75 years old – even older than the NATO alliance is today and the British were free to ignore it. But the kingdom of Belgium was not “gallant” at all. A mere four years before the outbreak of war, international pressure had forced Belgium’s King Leopold to end a 30 year genocide in the heart of Africa, the Belgian Congo, later known as Zaire and today as the Democratic Republic of Congo. It was one of the worst genocides and examples of mass killing in human history. Leopold’s agents killed an estimated10 million people in the Congo over a 30 year period in order to plunder it of all forms of natural resources and wealth. Britain therefore went to war in 1914 to protect the successors to a truly genocidal regime in tiny Belgium. Yet that conflict killed, crippled or led to the premature deaths from injuries and hardships of one in three every male Britons between the ages of 18 and 45 when the war started. As the great British 20th century novelist C.S. Forester later observed in his book The General, Englishmen through that conflict were dying at in greater numbers and at a faster rate than at any time since the Black Death bubonic plague epidemic of the 1340s, 570 years earlier. The lesson that obsessive concerns about small and irresponsible countries needlessly pull great nations and empires to their own destruction was retold a quarter century later when Britain and France went to war with Nazi Germany to defend Poland in 1939. 1930s Poland, British historian Paul Johnson pointed out in Modern Times was a racist regime whose systems of legal persecution against Russians, Ukrainians and Jews closely paralleled that of Afrikaaner, white supremacist South Africa in the 20th century. Yet the Poles, who had previously waged successful aggressions to seize territories from Lithuania, Czechoslovakia and even from the Soviet Union in 1920, flatly refused to cooperate with the Soviet Union, the only nation militarily capable at the time of deterring any Nazi attack. The British and the French agreed with the Poles. Hence they failed to take the only credible action that could have prevented the war. Today, it is the United States that is treading down the fateful path that Czar Nikolai, the British in 1914 and the Western Allies in 1939 all followed. The United States is committed to defend Poland, Lithuania, Estonia and Latvia. It has recklessly extended serious commitments to Ukraine and Georgia. In each case, the governments of these countries are often fiercely anti-Russian and prone to extreme and irresponsible nationalist pressures. These are dangerous commitments for a nuclear superpower to make. Commitments to small nations by big ones are almost always dangerous. The tail wags the dog and the greater nation sacrifices its own interests to maintain an empty prestige among small countries that is not worth having. Worse yet, large nations like Russia in 1914 or Britain and France in 1939 are drawn into obscure local conflicts where they have no interests of their own and from which they can gain no benefit. Yet they risk being pulled into world-spanning wars that can destroy their own countries.